Yesterday we brought you a first look at the new Lamborghini Veneno and today, we have more details and a few new images of the car introduced as the most powerful and best performing road going Lambo of all time. First of all, the Lamborghini Veneno has another name with a sinister background relating to the world of bullfighting. 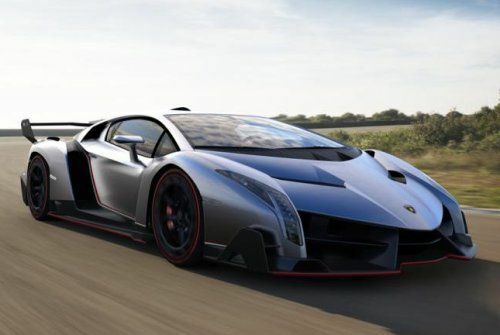 While a quick Google search indicates that Veneno is Spanish for poison, the Veneno name was chosen due to its roots in the bullfighting world. In the early 1900s, Veneno was a successful Spanish fighting bull who was regared as one of the most powerful, most aggressive and fastest fighting bulls in the history of the sport. Veneno made a name for himself in 1914 when he killed the famous matador José Sánchez Rodríguez during a bullfight in the arena Sanlúcar de Barrameda’s, Andalusia, Spain. However, whether you prefer the literal Spanish translation or the fact that the Lamborghini Veneno is named after a killer fighting bull – the name certainly seems to fit this monstrous supercar as this is unquestionably the most powerful and the most aggressive vehicle to ever leave the Sant’Agata factory for public roads. Interestingly, while we expected that the Veneno would also carry the LP740-4 moniker, no company information has included that so it might not be included in the full name of the new Lambo supercar. As we knew ahead of the Geneva Motor Show debut, the Lamborghini Veneno is powered by a 6.5L V12 engine that produces 740 horsepower. Some sources speculated that it would actually be 750 horsepower but based on the Lamborghini release that states that the Veneno packs 552kW and the fact that 552kW is 740 horsepower here in the US – it looks like that 750 unit is stated in metric horsepower as750bhp converts to 740 horsepower. This power is channeled to all four wheels via a quick shifting, race proven 7-speed ISR automated manual transmission and a permanent all wheel drive system. This drivetrain setup rockets the Lamborghini Veneno from a dead stop up to 62 miles per hour in just 2.8 seconds en route to a top speed of 221 miles per hour. These figures are aided by the Veneno’s extremely low dry weight of just 3,190 pounds which makes the most powerful Lamborghini ever also one of the lightest – tipping the scales a full 275 pounds less than the Lamborghini Aventador that uses a slightly less powerful version of the same drivetrain. Helping to insure that the Veneno handles every bit as well as it accelerates is a similar pushrod suspension system to the one found in the Aventador mated to a high tech carbon braking system. Lamborghini has confirmed that only three examples of the Veneno will be sold to the public – one in white, one in green and one in red. The car shown in the images on the right will not be sold to the public and this will be the only Veneno to wear the grey metallic finish with the Italian flag flowing along the side of the car. Each of these three Lamborghini Veneno supercars will carry a price of 3 million Euros ($3.9 million US dollars) and the company has confirmed that all three have already been sold. There are some other fun facts that we didn’t talk about when the first few images of the Lamborghini Veneno that have come to light since all of the details have been unveiled. First, the Veneno features unique wheels measuring 20 inches up front and 21 inches out back that are specially designed to funnel air in around the carbon ceramic braking system for supreme high performance cooling. Also, these wheels feature a race style single central mounting bolt assembly. Like the Aventador, the Veneno uses a lightweight aluminum subframe covered in carbon-fiber reinforced polymer (CFRP) with both the monocoque driver’s box and the entire body being comprised from CFRP. There is plenty of exposed carbon fiber both inside and out with Lamborghini’s unique carbon-fiber CarbonSkin material covering nearly everything throughout the cockpit. Finally, the driver information center is designed in race car fashion with a collection of gauges that include a G meter to see just how hard the Veneno is launching and cornering. You can check out the Lamborghini Veneno in our gallery by clicking any of the thumbnails on this page. Our gallery includes the shots that hit the web ahead of the debut as well as a few shots that appear to be computer generated images of the Veneno soaring down the road and parked on a tarmac. Supercar Makers Like Lamborghini Use This Amazing Material, But Where Else Can You Find It? Lambo needs luxury SUV Urus success but will it find it? Why would anyone key a Lambo so badly it hurts to view?